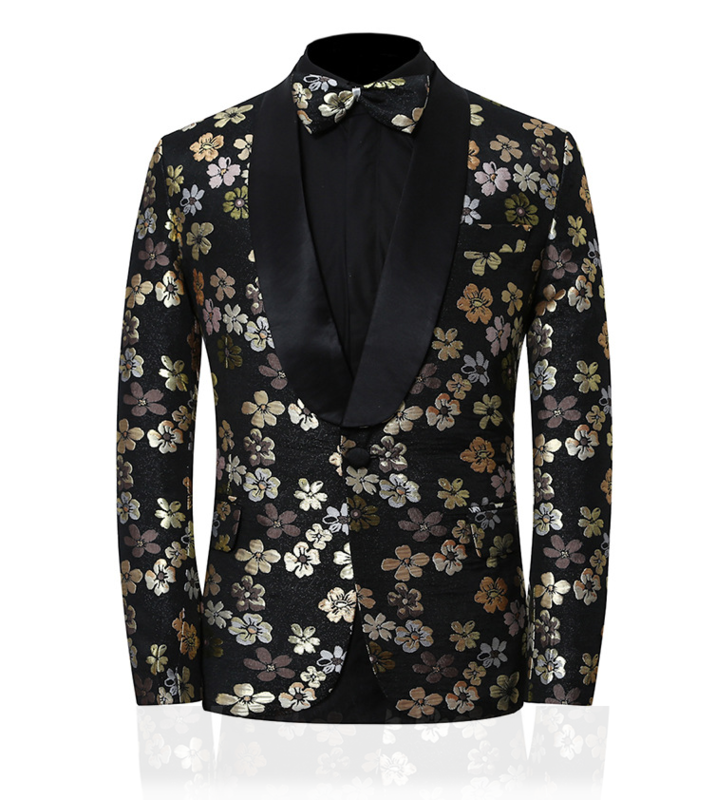 You will be an attractive and elegant gentleman in this floral tuxedo jacket. 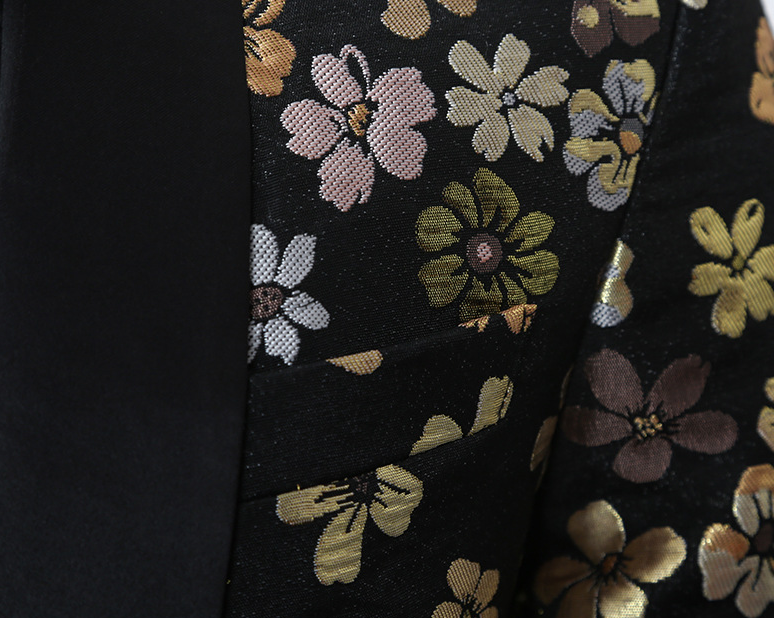 You deserve impeccable style that's fun, but sophisticated! 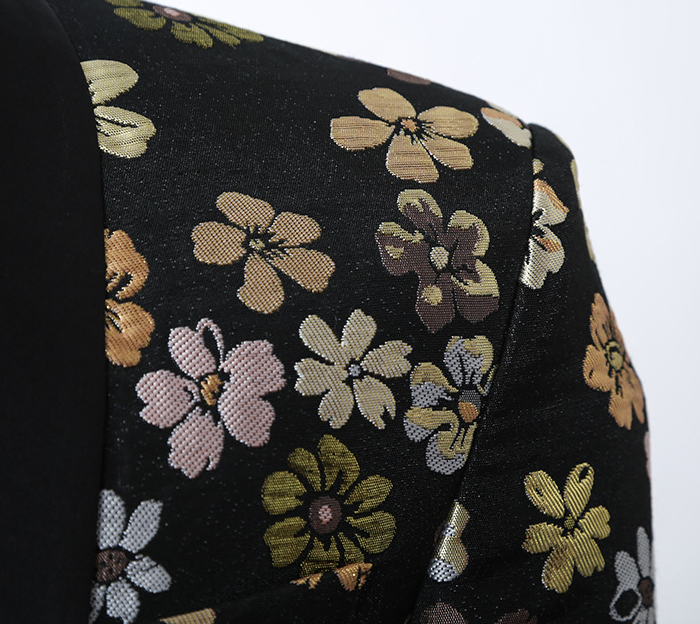 This blazer will give you elegance, style, and a really amazing evening full of great complements. 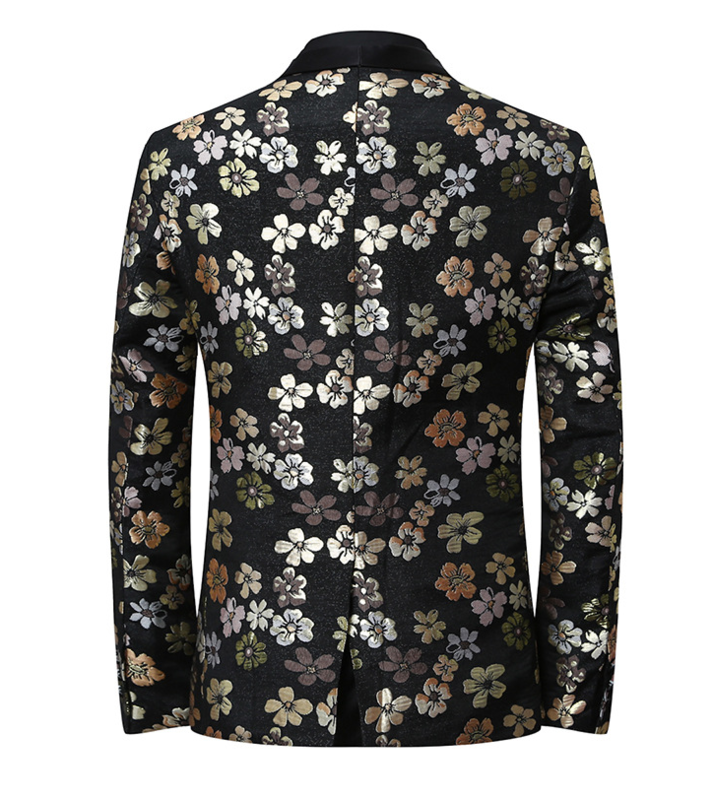 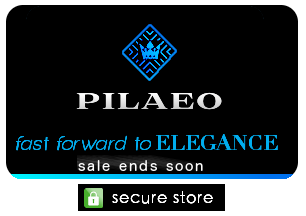 This luxury blazer here at PILAEO is designed with the best craftsmanship and material with its golden shimmery floral pattern against a grained black background. 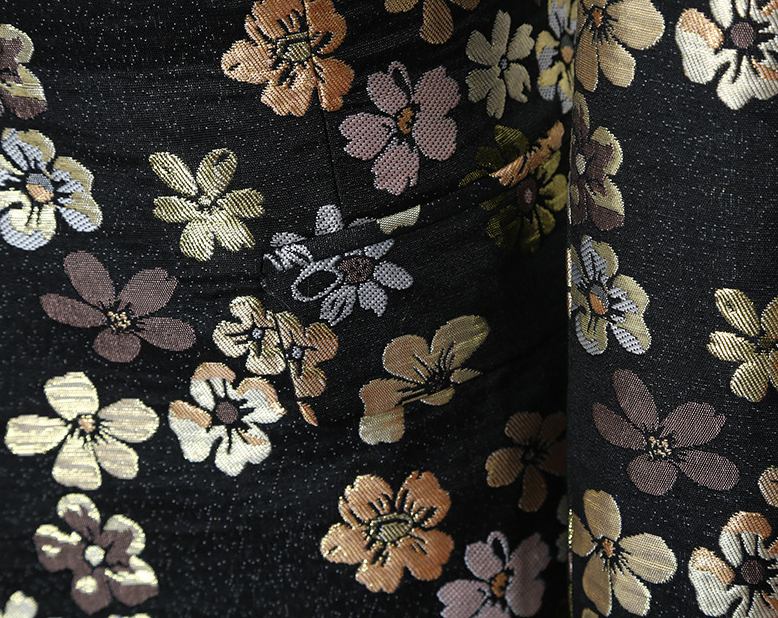 Perfect for events, weddings, proms, dinners, and more - You can wear this gold and black style to events where you'd like to have a modern, fashion savvy look that you are confident in all evening long. 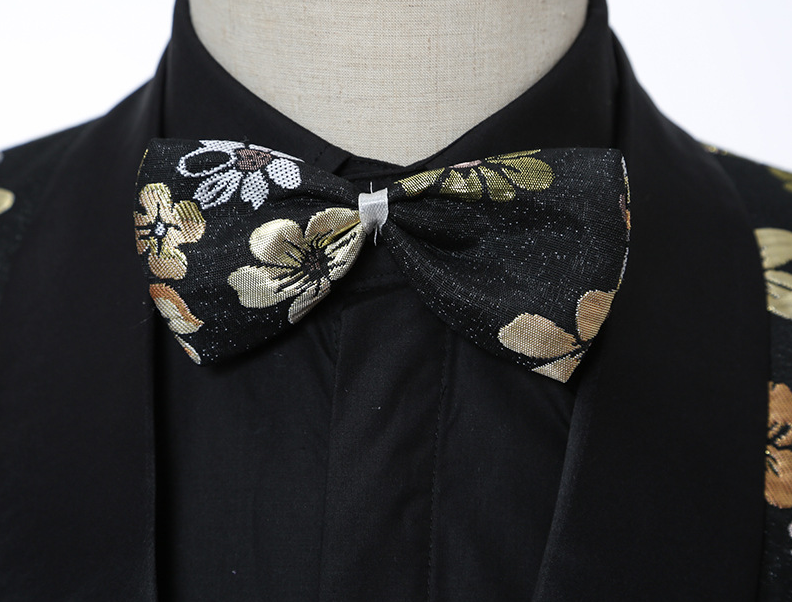 Suitable for all seasons, wear this black and gold mens floral tuxedo jacket in spring and summer with a thin dress shirt, and during autumn and winter with wool dress shirt. 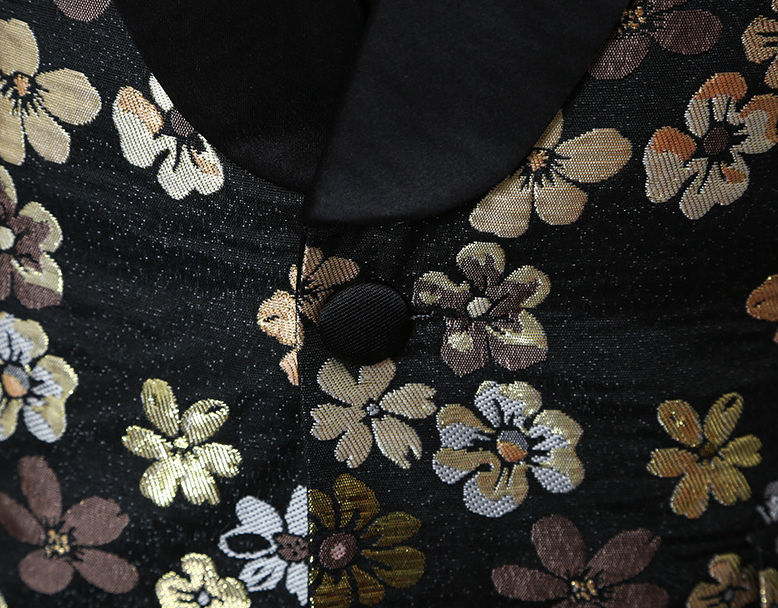 This black and gold blazer is embroidered and has a creative and very attractive design , and is really capable of making your look and wardrobe space more stylish and sophisticated than you'd really imagine! 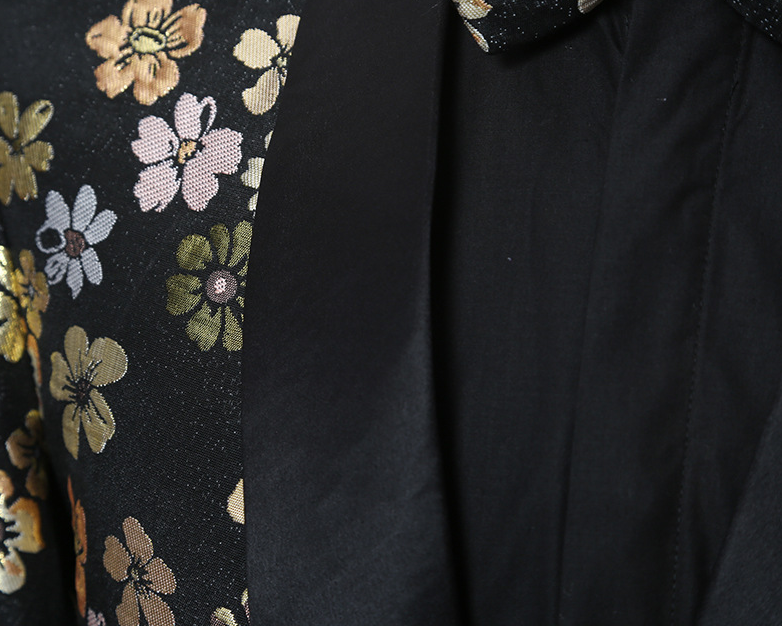 Get this because you definitely need a suit jacket such as this when you're at dinners, parties, and events where you'll need to be captivating, and give an impression of excellent style, demanding respect and a truly amazing evening!